This species is accepted, and its native range is Temp. Northern Hemisphere to Philippines. 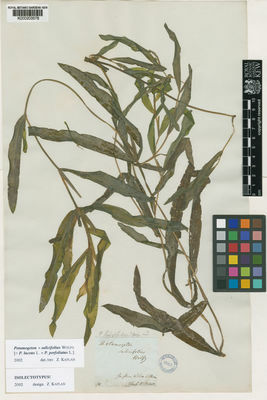 Potamogeton americanus Roem. & Schult. Potamogeton gaudichaudii Cham. & Schltdl. Potamogeton longifolius J.Gay ex Poir. Potamogeton nitens Willd. ex Cham. & Schltdl. Potamogeton proteus Cham. & Schltdl. Potamogeton volhynicus Besser ex Roem. & Schult. Spirillus zizii (Mert. & W.D.J.Koch) Nieuwl. Starchenko, V.M., Darman, G.F. & Bolotova, Y.V. (2008). Floristic records in the Amur region Botanicheskii Zhurnal. Moscow & Leningrad 93: 476-481. Nooteboom, , H.P. (ed.) (2002). 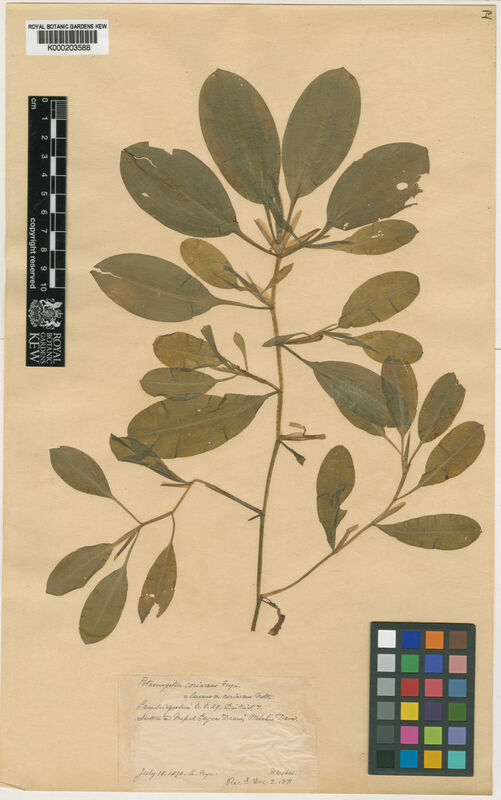 Flora Malesiana 16: 1-224. Noordhoff-Kolff N.V., Djakarta. Jumelle, H. (1950). Flore de Madagascar et des Comores (Plantes Vasculaires) 21-22 Typographie Firmin-Didot et Cie., Paris.